The RIFA Soup Kitchen provides hot, nutritious meals 365 days a year, including all holidays. There is no charge for the meals, and no one is turned away. There are many who get their only hot meal of the day in the Soup Kitchen. We serve, on average, 200 meals daily. Lunch is served seven days every week and dinner on Tuesdays and Thursdays. A worship service takes place before each meal. 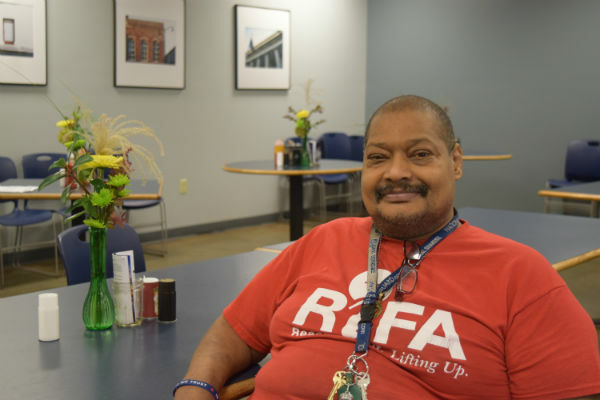 With only one full-time RIFA staff member, the Soup Kitchen relies on more than 1,000 volunteers annually from local churches, service organizations, businesses and individuals to carry out the meal planning, preparation and serving. In addition, all of the food served in the Soup Kitchen is donated from area restaurants, businesses, churches, civic groups and individuals. More than 65,000 pounds of food is donated each year to the feed the hungry in our community. RIFA is where you can be the hands and feet of Christ in your own backyard.